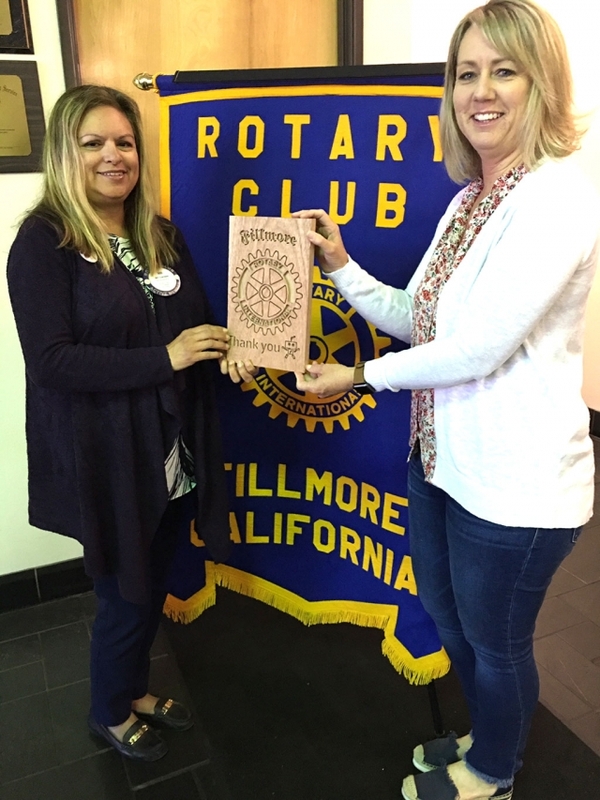 Rotary President Elect Ari Larson receives a beautiful, machine carved plaque from the FHS Robotics Team presented by Rotation Lisa Cook. 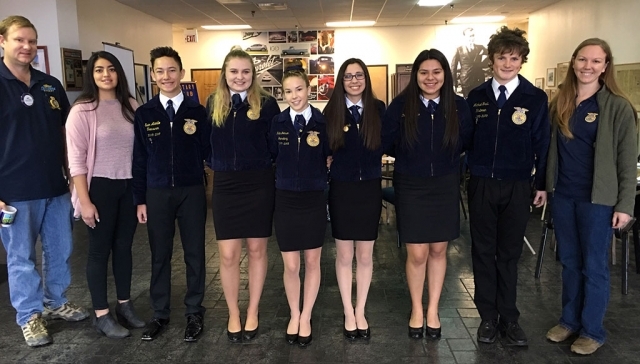 They placed 29th out of 43 teams in a recent competition. 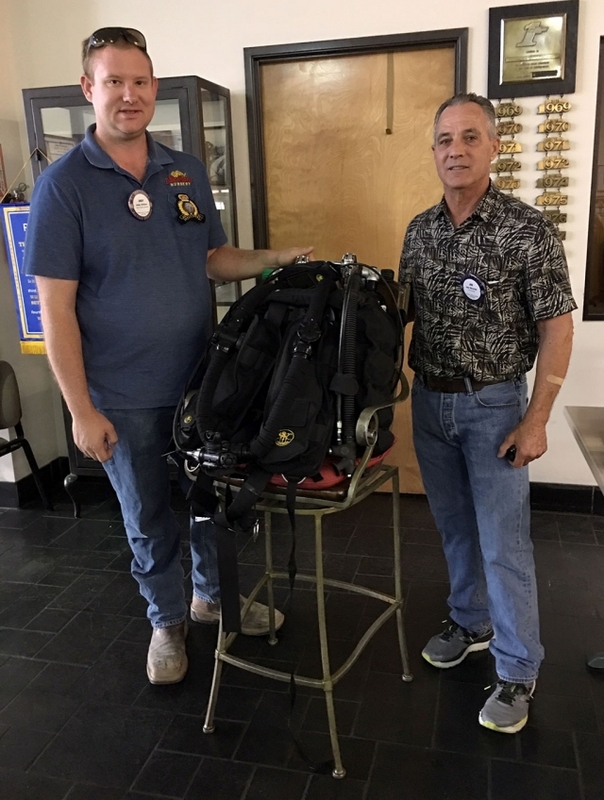 The Rotary Club had made a donation to FHS Robotics Club. Courtesy Martha Richardson. Wow, I am truly blown away by what an amazing opportunity our son and a HUGE number of energetic young people and their families were given through the dedication and commitment of Mario and Venessa Robledo, the new management of the Fillmore Equestrian Center. I was there a year ago and what a change! 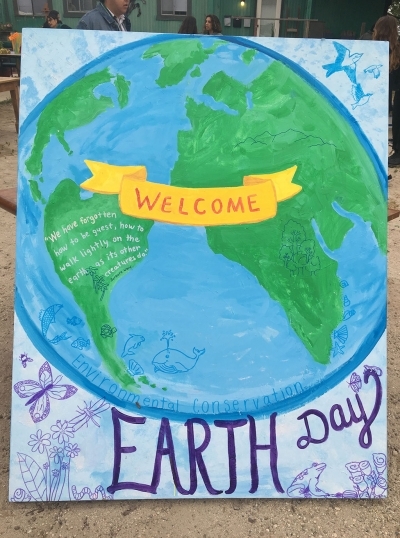 They have created a family-friendly environment with clean grounds, new landscaping, goat pens visible from the road and a clean barn which they sponsored to Big Brothers and Big Sisters of Ventura County (BBBS) for their Earth Day Fundraiser. With fewer and fewer healthy, safe opportunities for our youth to blow off steam, this event was that and so much more! 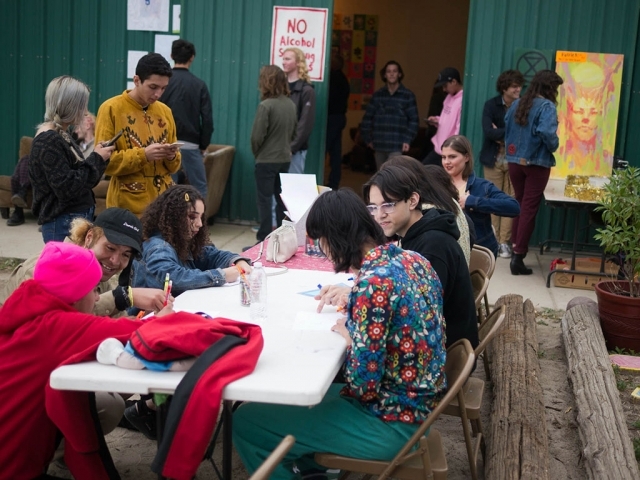 These dedicated adults helped the youth of our community put on a music and art festival style fundraiser for Earth Day. They allowed them to organize, manage, and promote it and it was amazing! The young people danced and sang and experienced being embraced for their exuberance rather than seen as “teenagers up to no good” as many see them. And these teens, feeling so empowered, in turn, embraced having their families there! A rare chance for that connection so many families lose when their kids enter the teen world. 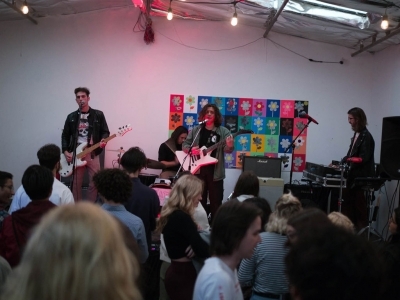 The bands that played were incredibly talented! The ENTIRE time was filled with joy like I’ve not seen in a long time! I can’t thank Mario, Venessa, BBBS Staff and all the kids that made this happen – well done and THANK YOU! It’s amazing that the citizens of Fillmore are able to have this grand passion for life in itself, and every thing in between. Some of our students are as young as 80 years old. At this age don’t you think we are seniors and still learning? 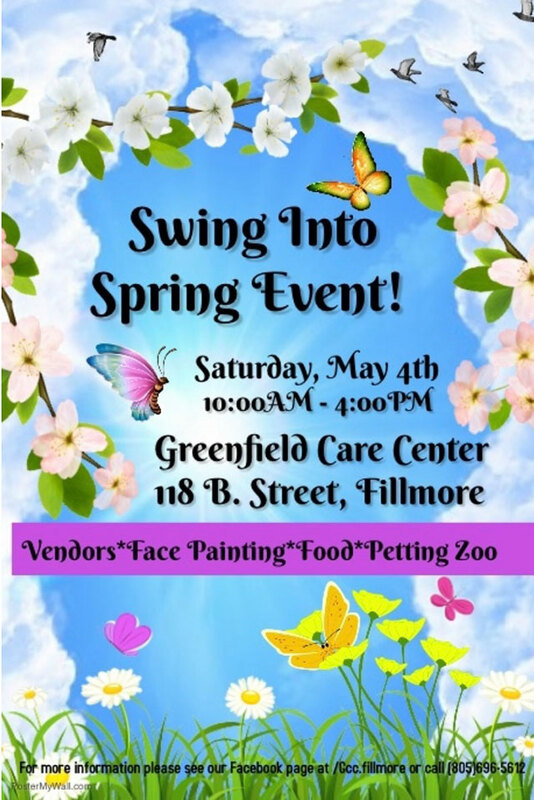 There is also Arts and Crafts, and other activities at the Adult Day Care in Fillmore. Thanks to the instructors of the computer class, and all volunteers. 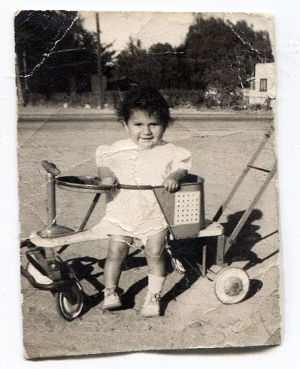 Photo courtesy Josie Cedillo. 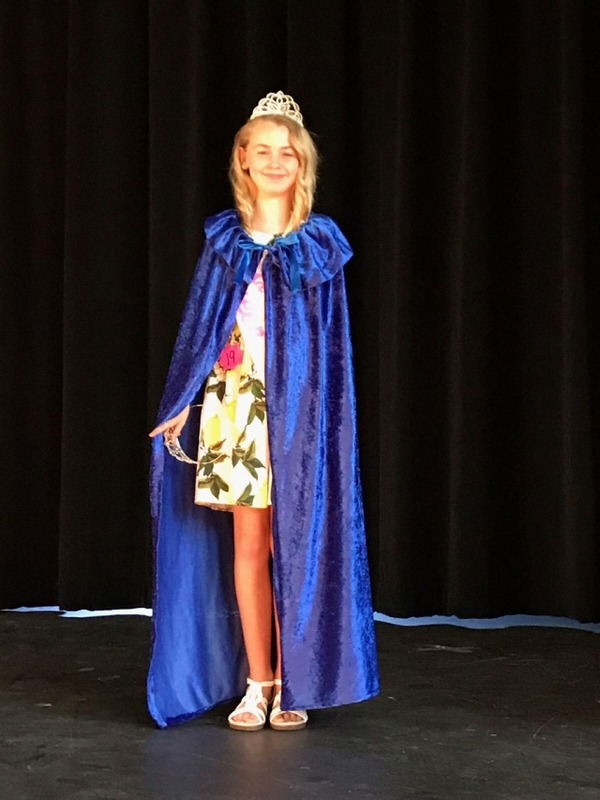 On Saturday, April 7th, at the Fillmore School District Auditorium, Director Heather Stines and the SoCal Fillmore Bears Youth Football & Cheer hosted the Miss and Ms. Heritage Valley Spring Pageant. Pictured above are this year’s pageant participants. 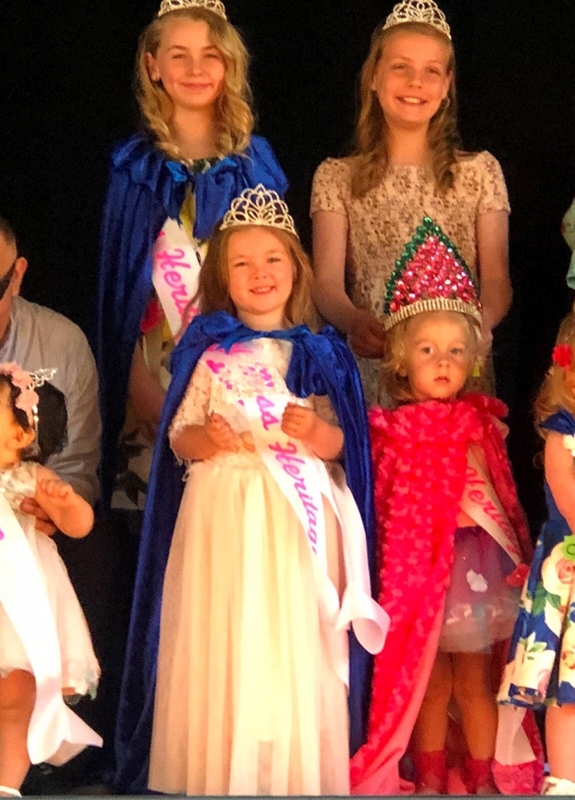 The winners of this year’s pageant are as follows: Miss Heritage Valley - Kahrlee Sue Long, Jr. Miss Heritage Valley – Presley Simson-Hollis, Lil Miss Heritage Valley Kalea Kutbach. 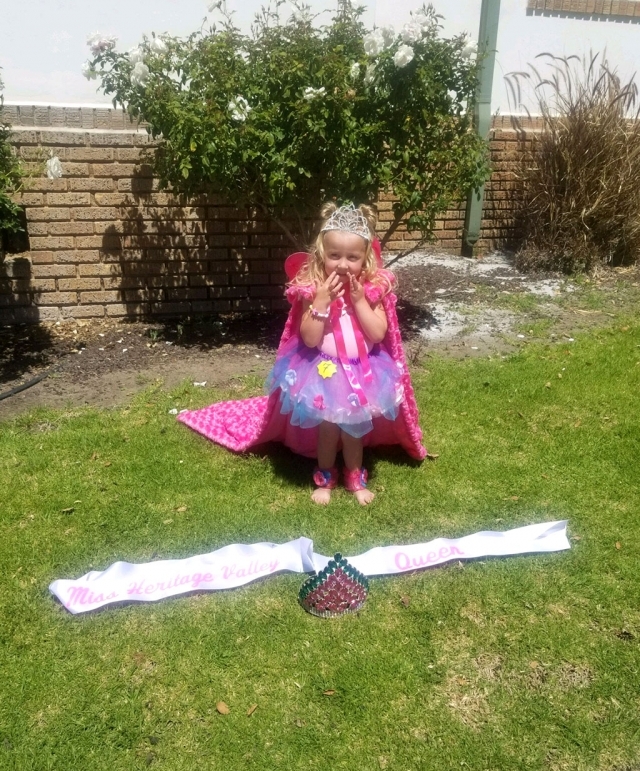 Ages 0-23 Month division: Queen - Scarlette Garibay, 1st Runner up – Delilah Lynn Pope. Ages 2 -3 Division: Queen – Kahrlee Sue Long, 1st Runner up – Gianna Ponce, 2nd Runner Up – Arianna Contreras, 3rd Runner Up – Harlie Hollis. 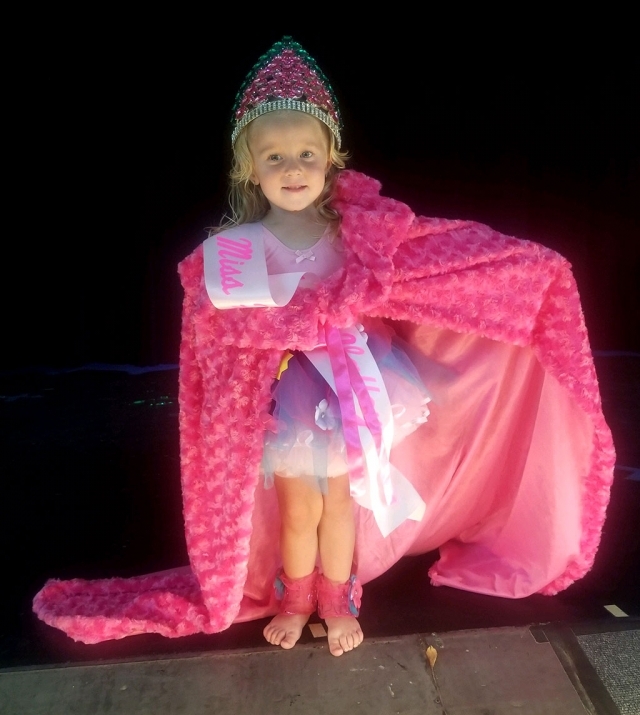 Ages 4-5 Years Division: Queen – Kalea Kutbach, 1st Runner Up – Mia Bingham. Ages 6-8 Years Division: Queen – Laylah Pacheco, 1st Runner Up – Shelby Chips, 2nd Runner Up – Bella Hollowell. Ages 9-12 Years Division: Queen – Presley Simson-Hollis, 1st Runner Up – Gabriella Bingham. 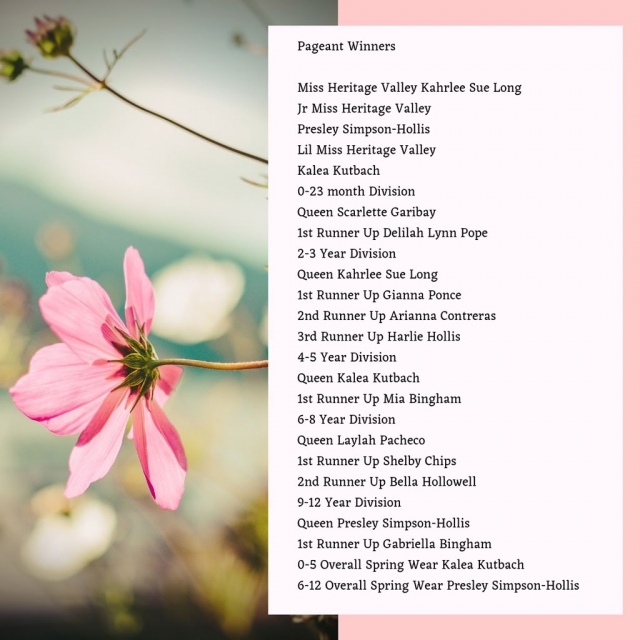 Overall Spring Wear Winners: Kalea Kutbach and Presley Simson-Hollis. Photos courtesy Heather Stines, Director of Miss & Ms. Heritage Valley Pageant. 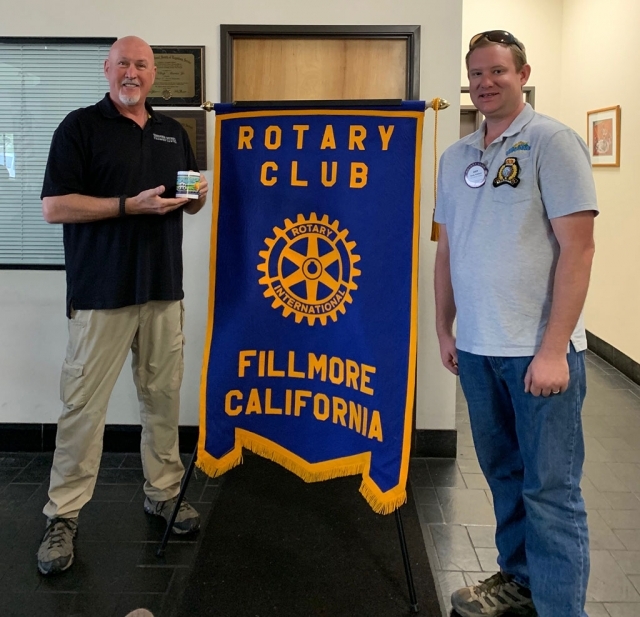 Pictured right Rotary President Andy Klittich presented a mug to Supervisor Kelly Long who gave an overview of what’s going on in the county. She informed them that the population, in the county is 857,386 and encompasses about 1,000 square miles. She also discussed finances, areas of service, new projects such as the Fillmore Fire Station, updates happening at the harbor, in healthcare, homeless shelters, libraries and the Juvenile Justice System, to name a few. Supervisor Long is definitely knowledgeable about our county and positive about our City. Courtesy Martha Richardson. 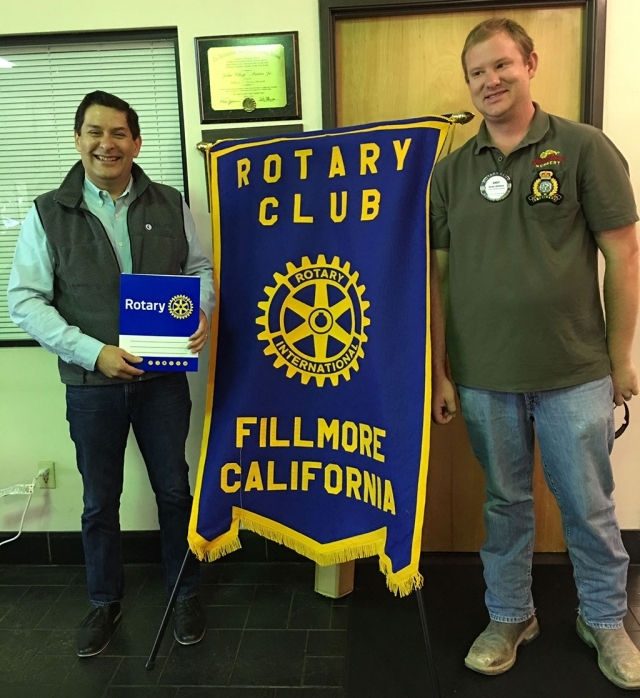 Pictured left is John Garnica who was inducted into the Rotary Club of Fillmore by Club President Andy Klittich. Photo courtesy Martha Richardson. 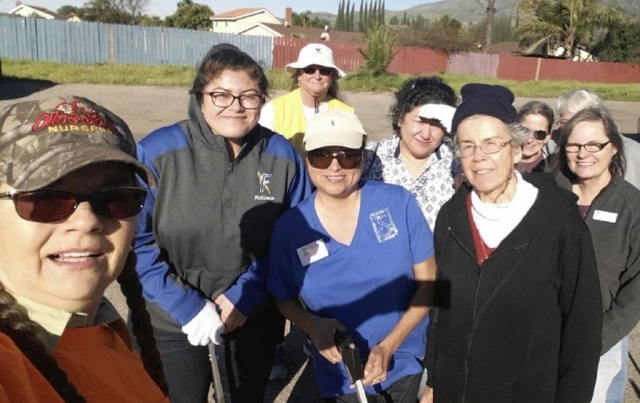 On Saturday, March 16th Fillmore Civic Pride held a Bike Path Clean Up to Celebrate the 100th Anniversary of the Fillmore Flower Show pictured is some of those who came out to help Front Row (l-r) Julie Latshaw, Fatima Bazurto, Ari Larson and Darlene Lorenz, Back Row(l-r) Cindy Blatt, Mrs. Bazurto, Cathy Krushell, Annette Ross and Sarah Hansen. Photo courtesy Ari Larson. Applications are now available for the FILLMORE WOMEN'S SERVICE CLUB Educational Scholarships. Any graduating High School Senior going to a Public or Private School, who RESIDES within the Fillmore Unified School District and is continuing on to a College, University or Trade School can apply. Applications are available at Fillmore High School or by telephoning Susan Banks at 524-2020. Also available on line at www.fillmorewomensserviceclub. Deadline is Friday April 17th, 2019. Applications are now available for the FILLMORE WOMEN'S SERVICE CLUB Trade and Arts Scholarship. Any graduating High School Senior going to a Public or Private School/ who RESIDES within the Fillmore Unified School District and is continuing on to a Trade School, College or University to pursue a career in the Trades, Arts, music etc. Grades are not a factor. Applications are available at Fillmore High School or by telephoning Susan Banks at 524-2020. Also available on line at www.fillmorewomensserviceclub. Deadline is Friday April 17th, 2019. Applications are now available for Adult Women, 25 years or older, planning to return to college or trade school or are currently attending such a school. The Scholarship is for the educational improvement of women in the work force who reside within the Fillmore Unified School District to better the lives of their families and our community. 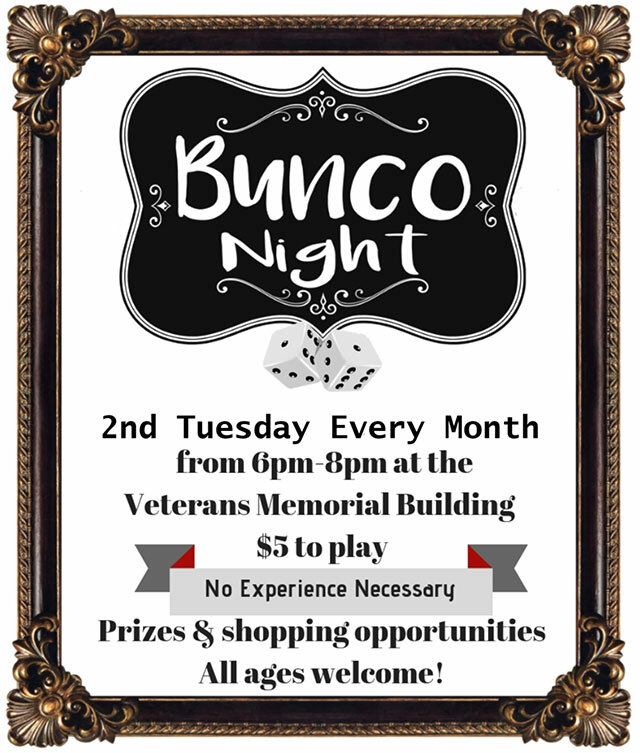 Applications are available from Susan Banks at 524-2020 or our web site www.fillmorewomensserviceclub. Deadline is Friday April 17th, 2019. Thank You California Resources Corporation for Your STEM Support! 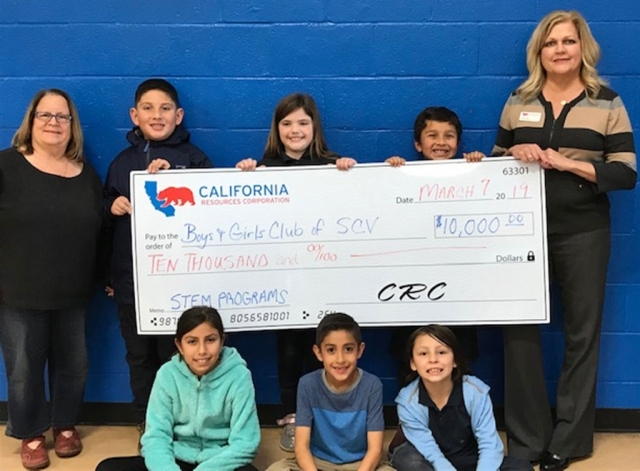 California Resources Corporation (CRC) is pleased to support the Boys & Girls Club of Santa Clara Valley (BGCSCV) with a $10,000 STEM grant. CRC has been a strong supporter of the BGCSCV for seven years and values the delivery of high quality STEM programs. CRC also participates in our annual Kids STEM Day. Pictured is CRC Public Affairs Manager and BGCSCV Board President, Amy Fonzo and BGCSCV CEO, Jan Marholin, with BGCSCV members. Thank you California Resources Corporation for investing in our youth. Photo courtesy Jenae Quintana. 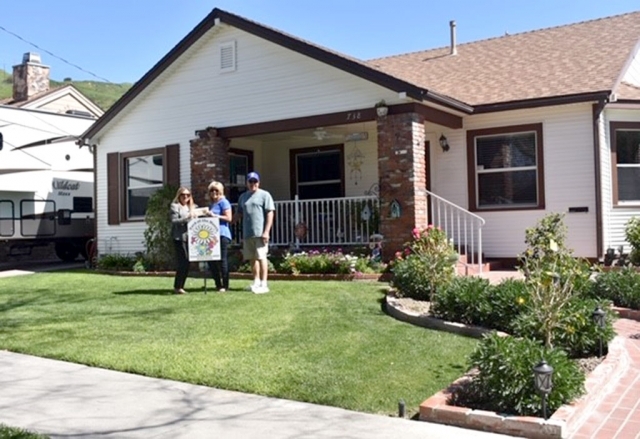 (l-r) Ari Larson of Fillmore Civic Pride presenting Janet Schrock and Rod Schrock with their certificate of $40 for winning March 2019 Yard of the Month. Photo courtesy Miranda Alonzo. 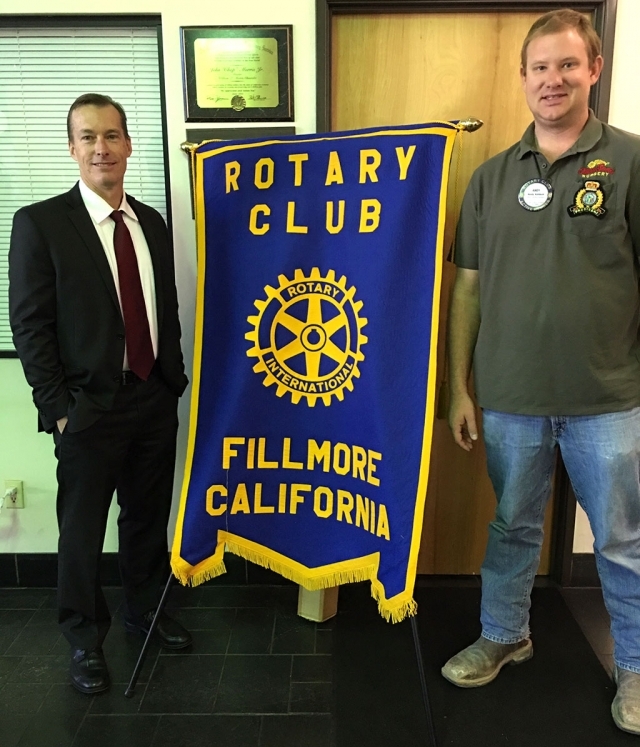 Kimo Hildreth, Investigator for the DA’s office and part of the Cyber Crime and Cyber Security Division, was the speaker at Fillmore Rotary. He talked about all kinds of scams including phone, mail, and internet; many of them coming from Nigeria. With the internet scam, people meet online, become friends, and the victim may even send money. 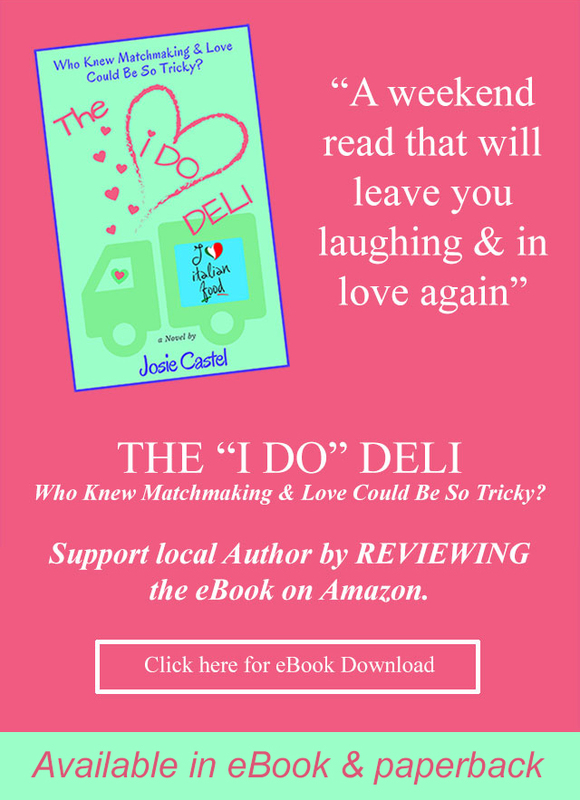 Some advice from Hildreth; if you can’t meet for coffee with this person, it’s a scam. It could be anyone, any age, talking to you. If you receive an email or letter asking for money, with many misspellings, especially the use of the little “i”, it is a scam. Using free wifi can lead to problems also. You should use more than one password and it should have 15 digits. Be careful and be aware! Photo courtesy Martha Richardson. 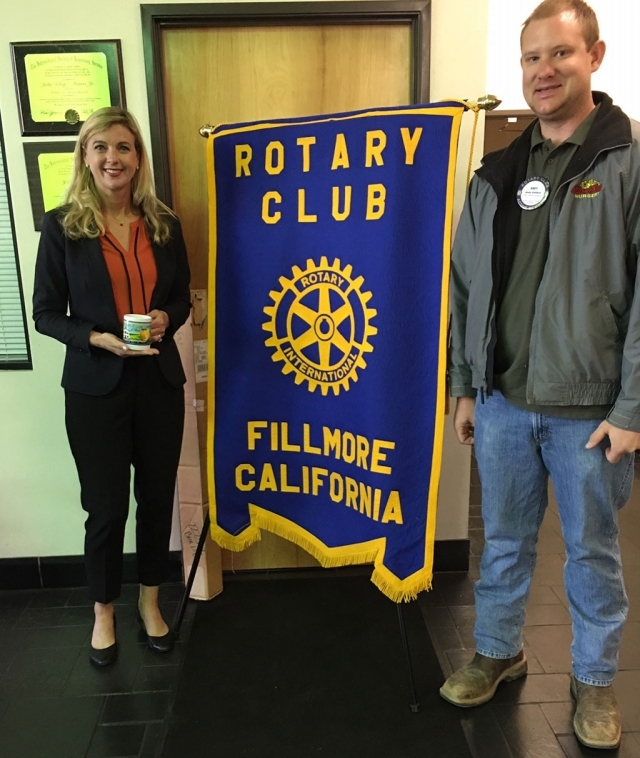 Fillmore Rotary Club Learns Cannabis Laws. 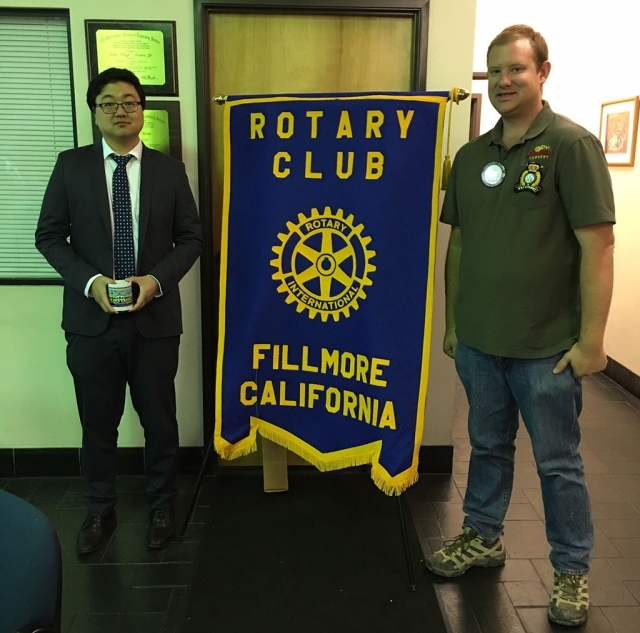 Danny Lo, Ventura County Deputy District Attorney and Prosecutor on Cannabis Law, is pictured with Rotary Club President Andy Klittich, right. Lo presented to Rotary Club the rules and regulations for growing, buying, and selling marijuana. He also stated that the prescription Cannabidiol has not yet been approved by the FDA. Fillmore has banned the selling of cannabis, but it can be purchased in other cities in the county. Photos courtesy Martha Richardson. Mike Rowan, from the Trigger Burst Training Center, presented a very interesting program. He was with the Department of Corrections for 32 years and now he trains on proper use of firearms, pepper spray, concealed weapons and more. He is an instructor for FBI, VC Sheriff, NRA Law Enforcement to name few. With more inmates being released early there is more concern for safely. He gave some needed advise: always lock your car and house doors even when you’re there, don’t go to known bad parts of town or places, lock doors when you’re getting gas as opportunists are waiting to open doors and steal your purse, etc. and always be aware of your surroundings. He talked about awareness colors White is when the person is not aware off surroundings at all-daydreaming, looking at phone etc., Yellow is when the person is looking around being aware of who’s coming and going, know where your exits are and Orange is high alert, taking action, something critical is happening now! By being aware of our surroundings we are more likely to be safe. 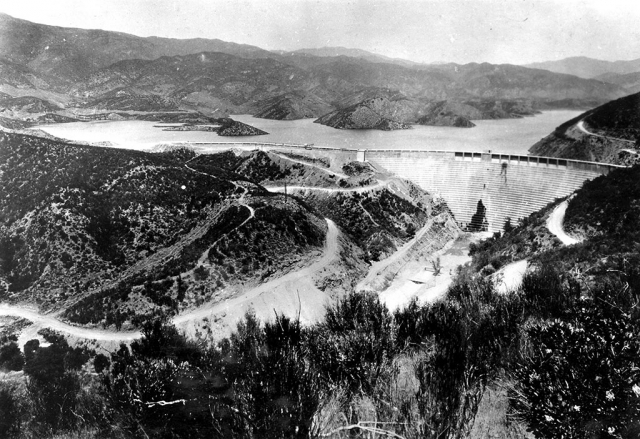 In commemoration of the anniversary of the St. Francis Dam Disaster (March 12/13, 1928), the Fillmore Historical Museum will be presenting a program on the disaster on March 23, at 1 p.m., in the Depot. This was the worst man-made disaster of the 20th Century and had a devastating impact on the community and valley. If you did not get a chance to see the presentation last year, now is your chance. Pictured above is the Fillmore Historical Museum where the Board of Directors hosted their annual membership meeting to elect their board of directors. Photo courtesy Martha Gentry. 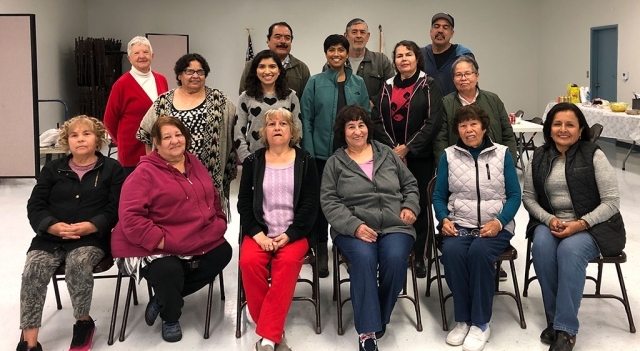 Fillmore Historical Museum held its Annual Meeting of the membership on Saturday, February 16, 2019. Martha Gentry, Jack Stethem, Joanna Michel and Robert Morris were re-elected to the Board. Executive Director, Martha Gentry, reported that during 2018, 24 volunteers had been active donating over 2,000 hours of their time to the Museum. After the Annual Meeting, the board of directors met and elected Martha Gentry, President; Jack Stethem, Vice-president; Beverly Hurst, Secretary; and Nancy Bowlin, Treasurer. Museum volunteers lead school tours, welcome guests during weekly open hours and on Saturdays. They also maintain the collection and do historical research. Additionally they have presented programs about the Saint Francis Dam disaster and Rancho Sespe to schools and civic organization. It is the dedication of these volunteers that allows the Museum to keep its doors open. The museum volunteers would like to invite members of the community to visit the museum and learn more about the history of Fillmore, Piru, Sespe, and Bardsdale. Museum hours are from 9 a.m. to noon and from 1 p.m. until 4 p.m. on Tuesday, Wednesday and Friday; 1 p.m. until 4 p.m. on Thursday; and from 10:00 a.m. until 3:00 p.m. on Saturday. The museum is located at 350 Main St. in Fillmore. 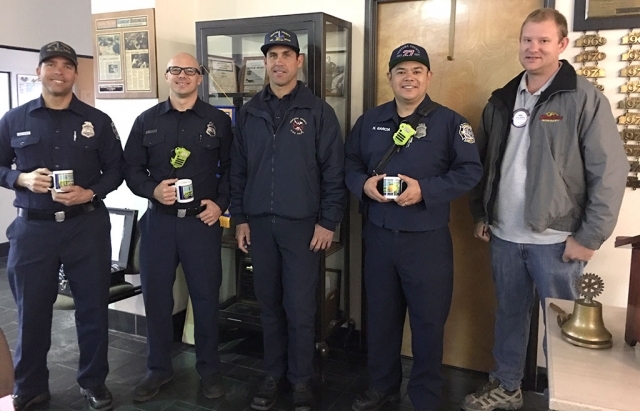 Pictured far right is Fillmore Rotary President Andy Klittich presenting a Rotary mug to the firemen who spoke at last week’s meeting about the new County Fire Station, currently in progress. This station will have six bays for trucks, fire and rescue, sleeping room, kitchen and a training room. They will be able to hold all of their training and drills there instead of having to travel to other stations. It will also have available space for staging in case of a large fire. When they do move from the Old Telegraph Road station they will lease it to the Forest Service. Photo courtesy Martha Richardson. 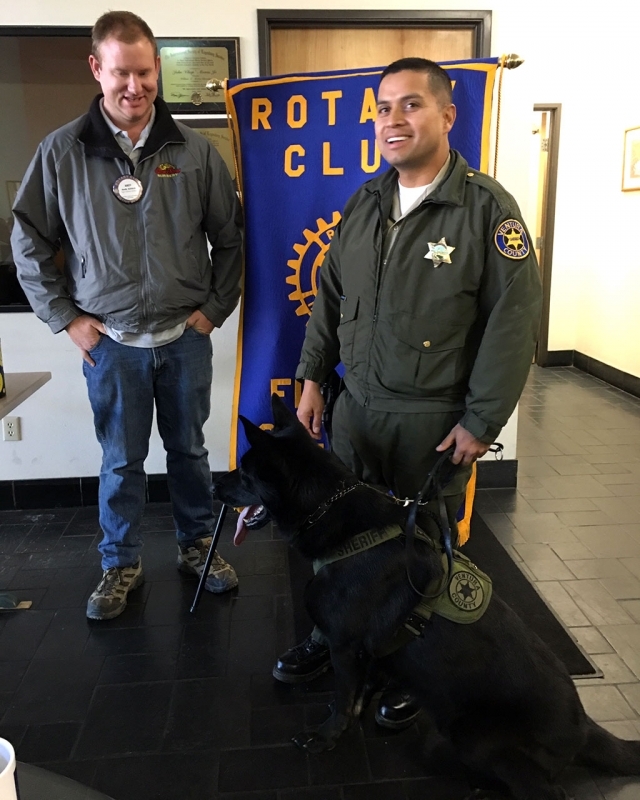 Pictured is Fillmore Rotary President Andy Klittich with Deputy Javier Rodriguez and his K-9 Jago. Deputy Rodriguez shared with the group that he has been with the Department for 13 years and has been a handler for six months. The group learned there are only six K-9’s in the county and all have been hand-picked in Germany. Specific dogs are chosen for the area they will be working in. Each handler must train their dog and pay for all the dogs expenses, but do receive some help from the K-9 nonprofit Foundation. Jago is 19 months old and a German shepherd. He will be a working dog for 6-7 years before he is retired. Photo courtesy Martha Richardson. 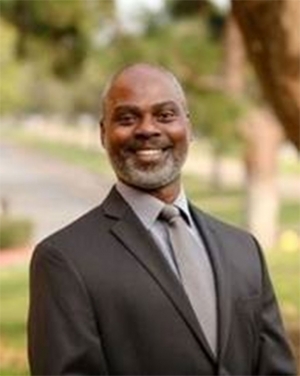 The Ventura County Public Works Agency (VCPWA) has named Derrick Wilson as Strategic Operations Manager to lead the newly formed division within the Central Services Department (CSD) concentrated on planning, execution, analysis and knowledge (PEAK) management for VCPWA. Prior to serving as VCPWA’s Strategic Operations Manager, Wilson began his career with VCPWA’s Water and Sanitation Department managing staff and services in the Integrated Waste Management Division. Wilson’s new role will focus on agency-wide organizational excellence and continuous process improvement. He will oversee a variety of agency-wide activities which include implementation of the agency’s strategic plan, tracking and reporting performance metrics, leading the Business Quality Council, and assisting departments with completing, documenting and reporting process improvements. With a combined 27 years in public service, 10 years at the County of Santa Barbara and 17 years with the County of Ventura, Wilson has successfully led teams and completed enterprise-level initiatives employing process improvement, business process redesign, change management and project leadership skills. 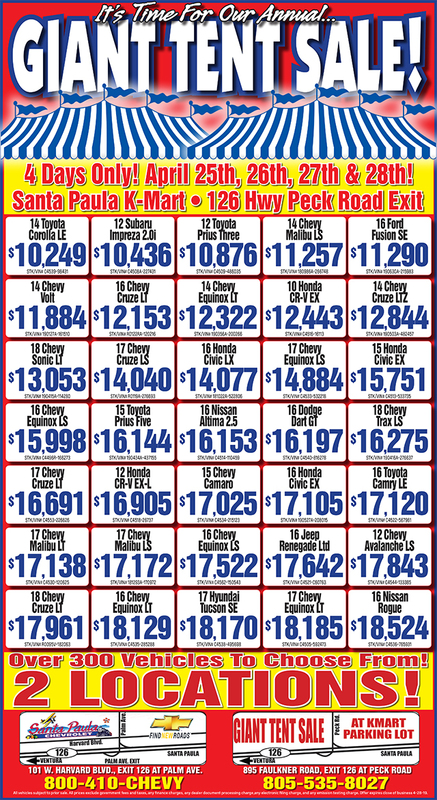 The Ventura County Transportation Commission (VCTC) will begin offering bus service to Somis via its East-West Connector bus route on Jan. 14, 2019. This marks the first time that Somis, a community in unincorporated Ventura County between Camarillo and Moorpark, has been served by public transit. To celebrate the milestone, VCTC will offer free bus rides to all passengers who board or exit at the Somis stop during its first month of service, Jan. 14-Feb. 15. The new Somis stop is located at Somis Rd. and Rice St. The stop is served by VCTC’s East-West Connector, a bus line linking Simi Valley and Moorpark with Somis, Camarillo, Oxnard and Ventura. All VCTC buses include bicycle accommodations for cyclists. To view the full East-West Connector schedule, visit https://www.goventura.org/home-2/upcoming-schedule-changes/. The addition of the Somis stop is one of several schedule and fare changes that will go into effect Jan. 14. More information about upcoming service changes is available at www.goventura.org.